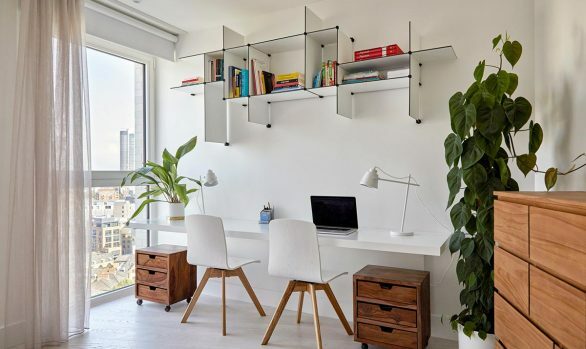 Create a design for two apartments that make up the fifth floor of a new development in Marylebone that will be suitable for the client and has large extended family when they are in the UK several times throughout the year. 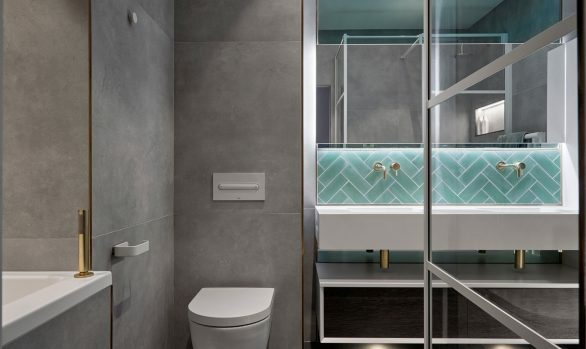 This project, in fashionable Marylebone, involved refurbishing several flats within an apartment block to house multiple members of the client’s family. 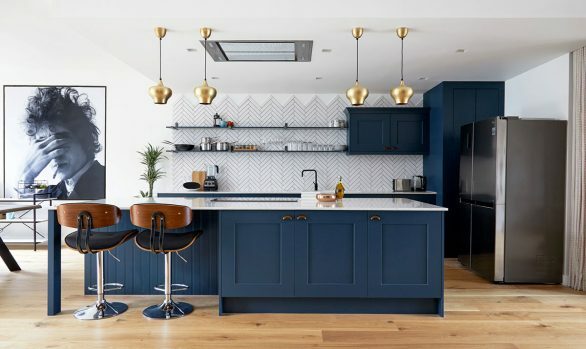 As a Marylebone Interior Designer we have often worked on projects where large amounts of extended family wishes need to be incorporated into the interior design brief and scope. The focus in each flat was on large family gatherings and social activity, so extra large unique pieces dominate the reception spaces. The client required a muted, relaxed colour palette. The artwork is all bespoke to fit the space and compliment the neutral fabric tones, you can read about how they were created, the process and why we decided to use bespoke art within this design project. The majority of the bespoke upholstery was produced by Hulsta, and each of the spaces comfortably seats 20 people. 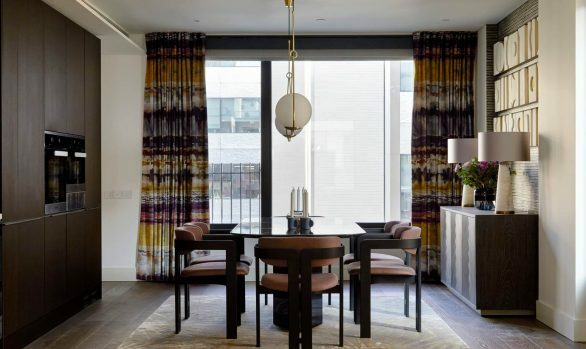 Warm textures and luxurious fittings and fixings, as well as leather clad walls and lighting from Porta Romana add a tone of elegant sophistication to the rooms. The design had to be comfortable and relatively minimalist, as they are seasonal homes and must be easy to leave for months on end. This build involved the use of a translator, as the client spoke no English, but it turns out good design transcends language barriers. The layout for the main living areas was kept very minimalist, the focus being on making sure that the whole family could enjoy these spaces comfortably. With such large sofas it was important to maintain enough interest in the rest of the room for it to not look like everyone was sitting on the tube! The bespoke artwork was extremely important in being able to bring the areas together as they pulled in colour together with texture that was very needed in these designs. Coordinating with the contractors meant pulling together many different trades people to be able to carry out each part to the letter, clear and concise instructions are always the way to do this. Especially when you have bespoke pieces such as the rugs, wall panelling and artwork that were hand crafted to make the most of the space. The finished design providing our client with two beautiful new homes that worked well together and also functioned perfectly independently of one another. If you are looking to carry out your own interior design project you can always contact us to discuss it. An impressive and notable looking establishment easily displays the time and meticulous work that went into it. People often settle for such set-ups for the comfort and confidence they exude. If living in extravagant luxury is your goal, you should hire a designer who can meet your affluent tastes. 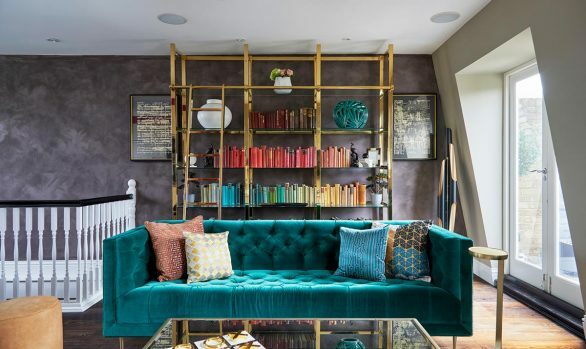 A specialist Marylebone interior designer operating in Central London can be just what you are looking for. Kia Designs offers impeccable interior design services to its valuable client base. 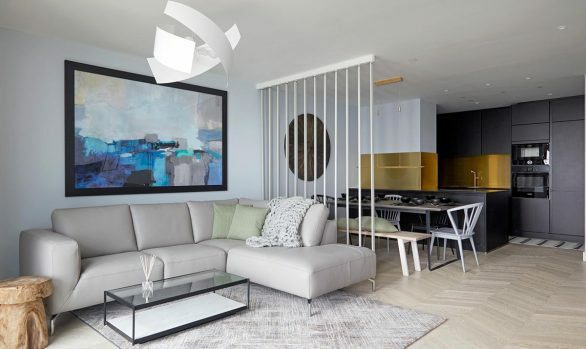 With years of experience and prestigious awards, we have emerged as one of the most sought after interior decoration companies in Central London. With our services, you can be assured of elegance and comfort under the same roof. You may wish to revamp your bedroom, rejuvenate your living room, or you may be planning to add a place where you can entertain your friends and family. Whatever your plans, our Marylebone interior designer can offer you the right solution for your design needs. We are well-reputed for interior design with style, elegance, flair and creativity. Our design services have a vast repertoire of ideas encapsulating various aspects of your property. We can help you to select the right seating arrangement, accessories and wall paint colour for your interiors. In case you desire an addition to your present property, our professionals can also give you an insight into the size, shape and correct wiring layout. We design your rooms in such a manner that you can make full use of every corner. If you are not sure where and how to place your furniture and accessories, our team of ever ready professionals will come to your aid. If you want to avail our design services, you can call us and speak to a Marylebone interior designer in our company. Our well-trained and well-informed staff will provide you with detailed information.